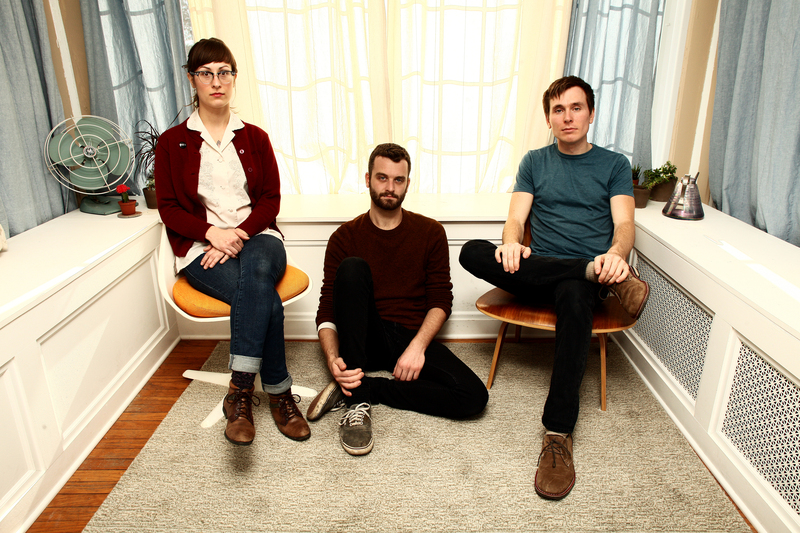 It has been a long time coming, but fans of New York indie-rockers Lemuria are gearing up to welcome the band to Australia for the first time in their 10 year history. On the eve of their tour, we sat down for a quick chat with Sheena Ozzella to chat about travelling the world, free shoes and remaining positive. By Kate NagyThis is your first time touring Australia, how much do you know about the audiences here? I’m not sure we know anything about the audiences in Australia! We have been meeting some Australian punks for years now though, when they come for festivals and whatnot, and I can say that everyone has been nice and welcoming! I can’t wait to see some of our new friends in their hometowns! What in particular are you looking forward to experiencing while your Australia? I, personally, and looking forward to it being summer when we head over (it’s winter here) and meeting new animal species. Obviously I would love to see a koala and kangaroo in real life, but also maybe a crazy jellyfish or some sea creature! I know we are taking a surfing lesson while we are over on a day off, and we are all SUPER excited about that. Also, excited to see new local bands, as I’m sure we will see some that we love. You’ve said in previous interviews that touring is the main reasons you’re in a band because it’s an excuse to travel, where’s the best place you’ve been too so far? I think we are all in love with touring the UK and mainland Europe. We have toured to Russia before as well, and that was amazing. One of the goals for the band since the beginning has been to visit Australia. Also Japan, but we will have to wait another time for that! What’s been the best and worst gig you’ve played in your career? Best – this is such a hard question, mostly because I have the worst memory of all time. I would have to say I loved playing in NYC with Superchunk a few summers ago. We got to play the VANS warehouse in Brooklyn and they gave us free shoes and we got to open for Superchunk and OFF! – one of my favorite memories for the band, I’m sure. Worst – a show in Milwaukee a long, long time ago. Some dumb Nazi teens stomped our records and were big dumb bullies. It was awful. (We Love Milwaukee though….since then we have had tons of great shows, no Nazi teens. )How did the band get started? Alex and I started Lemuria back in 2004. We tried to do a band with some kids that lived in the town an hour and a half away and it didn’t work, so we tried starting something new in Buffalo, NY where we both lived. Alex was learning how to play the drums and I was learning how to play the guitar. It was just something to help us get better at learning our instruments. Now it’s our life! Max joined the band 3 years ago, I believe. It’s like he was a part of Lemuria all along though. He’s perfect. For the band, I would say Superchunk, Guided By Voices, Magnetic Fields, Elvis Costello, Leatherface, Talking Heads, Squeeze. These are all bands that we all love and listen to a lot still. From the beginning of the band to present. How has your music changed from when you started to now? I would like to think that we have made each other much better musicians than when we first started because we learned how to play by having the band. Almost 10 years later, and we have a much better idea of what we want the band to sound like. The song writing style has remained the same the whole time basically, and now with Max writing with us, we can only get better. How has the band dynamic changed since the band first formed? Well, we have had several bass players. 4 to be exact, but Lemuria will not have any more. Sometimes our friend Tony Flaminio plays keyboards and back up vocals with us live. That’s so fun for us live, and it adds more of a ‘like the recording’ feel to our live sets. We all wish he could be a permanent member of Lemuria. You recently released a new LP The Distance is So Big, what was the inspiration for the album and how is it different from your previous releases? I couldn’t say we had a certain inspiration for the album, but I guess it has a steady theme, lyrically. It’s a break-up album, but a positive one. Just two full years in the members of the bands lives, made into a record. Our previous records had themes too, but I think overall, our newest record is the most poppy and most positive. Where do you see the band going in the future? We want to keep travelling to different places and maybe be in a movie sometime. That would be cool. Other than that, we are just gonna keep on doing what we have been doing and see where it goes.